One of the big headlines this past week in celebrity news was Gweneth Paltrow’s pledge to survive on $29 of food in a week. 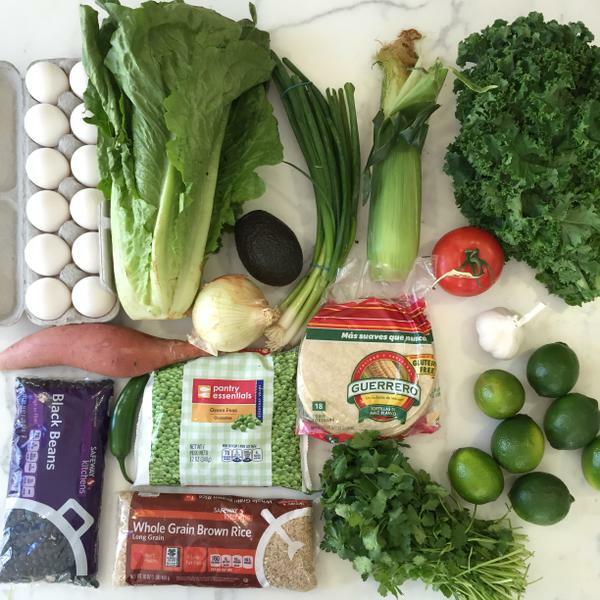 Here is the instagram snap she shared of all the food that amount of money can buy. Ms. Paltrow is taking part in a sort of ice bucket challenge gig to bring awareness to the issue of SNAP assistance (food stamps), or more to the point, how small an effect SNAP assistance really has on helping a person to survive, #FoodBankNYCChallenge. I mean just look at the picture. Contained within that one picture is not just a week’s worth of food. It’s an entire lifestyle. You see, there’s a psychological framework that we all work within and an astute man by the name of Abraham Maslow put it in a tangible illustration called Maslow’s Triangle, or Maslow’s Hierarchy of Needs. At the base of the Triangle, as the very very very very foundation of our needs, we must be safe and fed and have a roof over our heads. 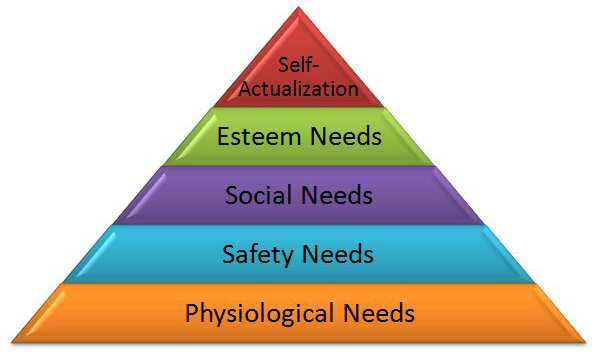 Maslow observed that until our physical needs are met, we are trapped at the first level of Need. We cannot meet our social needs of feeling loved and having a sense of belonging until we reach a point where we consistently have full tummies, safe sleeping quarters, and clothes on our backs. Here’s what we miss: Statistically, if a person is utilizing SNAP to meet their basic needs, chances are their entire life is stuck at the first level of Maslow’s Triangle. It’s not just the food you see, its the lifestyle that goes with the food. It’s knowing I have food at the beginning of the month, but I’ll be eating ramen noodles the last week of the month – for breakfast, lunch, and dinner. It’s wondering if I can find a job this month, or if I’ll be able to keep the one I have, or maybe trying to deal with my work hours being cut. It’s wondering if my babies will be safe in the neighborhood playground because I can only afford certain housing. It’s working with a damnable toothache because I cannot afford dental insurance let alone the trip to the dentist. It’s sharing a bed in the winter because I can’t afford the heating bill. It’s going without nail polish, using the same mascara for a year, and wearing torn underwear – the kids need clothes you see. It’s excruciating pain when my child comes home crying because he was teased for having holes in his shoes. It’s fighting with my husband over steak or beans for dinner again. It’s laying in bed, in the early morning hours, worrying, anxious, trying to figure out how I can come up with ten measly bucks so my daughter can go on the school field trip. Education is the key to understanding. I am grateful that some attention is given to the issue, but we must realize that it’s not just the food, or lack of it, that our brothers and sisters deal with. They deal with the mere act of surviving on a daily basis, without physical safety, without choices, and without understanding. They cannot contribute to society in a meaningful way since all their attention is focused on meeting their basic needs one day at a time, they have no energy left over for anything else I would challenge Gweneth, and any others, to look beyond the picture in order to comprehend the lifestyle. THEN we might be able to effect some real change. Here’s to making a difference. Here’s to awareness. Here’s to less of us struggling to merely survive. America’s Homeless: Taking the Fall for Alan Greenspan, Hank Paulson, and Co. This past week a well meaning, albeit misinformed youth, posted a link to his facebook page about putting welfare recipients to work instead of just giving them welfare money. “Make them earn it” the message says, “They shouldn’t be allowed to be lazy.” it continues. This past year in my hometown there’s been a loud outcry for something to be done with the homeless population, all of them focus on making homelessness a criminal activity and a scourge on our local society. I am deeply concerned and saddened. Over and over the message I hear and see is that being homeless or receiving welfare benefits are a huge crime. They are the ones ruining our nice clean cities. They are the ones abusing the system and taking advantage of our hard earned money. They are the ones taking the fall for the ills in our society simply because they are right in front of us. The real perpetrators, the real criminals, and the true manipulators of the system, people like Alan Greenspan and Hank Paulson are the responsible parties. they escape our focus however because they live quietly tucked away, out of sight of the public and certainly not on our everyday radar. They are the ones however who deliberately allowed the past two economic crisis to occur and led us into the Great Recession. It doesn’t take much reading for any citizen to discover that they are the ones who went out of their way to mutilate the economic system entirely in their own favor. They consciously broke laws. They ignored loud warning signs from economists that the system was going to crash. They are the ones who deceptively invented ways to shift massive amounts of money from the pockets of the middle class to their own offshore bank accounts. 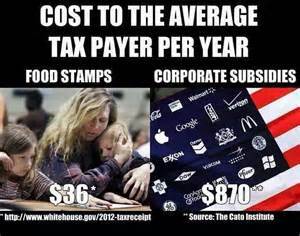 This idea that welfare recipients are ‘milking’ the taxpayer while Wall Street members still receive obscene bonuses. This concept of blaming the homeless for the degradation of society when it was Wall Street who shuttered our homes and our stores. This……is one of the greatest social injustices we’ve ever created as Americans. It is a situation easily remedied though, if we’re willing to take the time. It means being aware and educated. It means addressing problems such as unemployment and de-regulations instead of treating the symptoms such as homelessness. It means electing leaders who are not afraid to let the right people take the fall. We are a better nation than this, I am sure of it. Let’s act like it kids. P.S. Keep an eye out for a new website I am launching next week intended to help us be aware and educated as I admonished “Twentyfirstcenturyrevolution”. It’s new information and provides some real focus to our current socioeconomic problems. Here’s to finding solutions.